Fall means one thing to us: football. And since football goes so well with cigars, we thought we’d have a little fun by combining the two…and giving away a ton of cigars in the process. 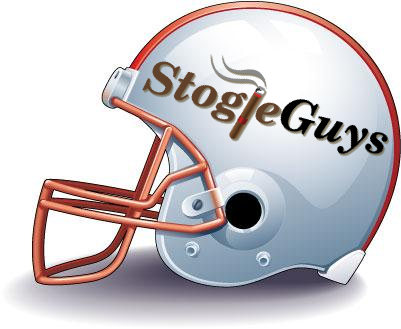 That’s why we’re pleased to announce the Stogie Guys NFL Pick’Em Challenge. Each week you can try to pick the winner of each game, and we’ll be rewarding the best contestants with cigars. To join, click here. Enter group number 24973 and the top secret password: “stogie.” At the end of each week during the regular season, the contestant with the most correct picks will receive a six-pack of cigars. And we’ll be lining up an even bigger prize for the grand champion at the end of the season. Great idea…thanks for setting this up! Thanks for setting this up, I'm pretty stoked about this! I know that a defending super bowl champ has lost their season opener in like a million years, but GO SAINTS! WHO DAT! That was exciting! So how's the game being played?